Jim has been a licensed Funeral Director for 48 years, and is Managing Partner of OakCrest Funeral Home. He has served as the President since 1996 of Higginbotham Funeral Homes of Texas, Inc., a corporation estabished in 1881 and based in Waco, with 9 Central Texas locations (3 in Waco). Dr. Mo has lived in Waco for the past 34 years, and has taught in the Business School at Baylor University for over 20 years. The Athletic Department has named him Outstanding Professor for several years. 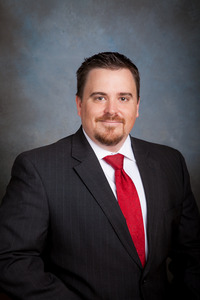 Ryan was born and raised in Woodway, Texas and graduated from Midway High School where he participated in soccer as well as taekwondo and scouts, obtaining the Eagle Scout rank. He earned a BBA in Finance from Baylor University in 2007 and entered the banking profession. His need to help people led him into the family business that his great great-grandfather founded in 1881. He graduated from the Dallas Institute of Funeral Service in 2010. Ryan has a big heart and the funeral profession fulfills his need for caring and helping families who are grieving. Ryan is a member of Lake Shore Baptist Church. He and his wife, Arnisa, have two daughters, Mackenzie and Emily. His hobbies include welding, snow skiing, scuba diving, windsurfing and spending time with his family. 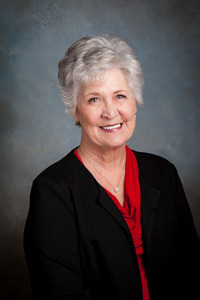 Glenda is a managing partner at Grace Gardens Funeral Home and OakCrest Funeral Home and the Corporate Secretary/Treasurer of Higginbotham Funeral Homes of TX, Inc. She is the Accounts Receivable manager for the company. Kris Rhodes grew up in Clear Lake, Houston where she attended Clear Lake schools for twelve years before transferring to Mexia High where she graduated in ’91. She attended Baylor University where she graduated with a Bachelor of Science in Health, Human Performance, and Recreation and a minor in Gerontology in ’99. In ’95 she married Scott Rhodes, the two have attended Brazos Meadows Baptist Church for over 20 years. They have two sons both attending High School at Midway. While being a stay at home mom, enjoying cooking, reading, and being with family and friends she felt a calling to go back to school. In 2017 she earned her funeral director’s license. Allowing her to pursue her greatest passion in serving others. furthered his education with a BBA in Financial Economics at McMurray University in Abilene. Upon graduating, Dale attended the Dallas Institute of Funeral Service and graduated in 1983. He began his career in funeral service with Amsler Funeral Home in McGregor and then worked for Cole Funeral Home in McGregor. After 34 years of funeral service, Dale joined Higginbotham Funeral Homes of Texas in 2015 and works at Grace Gardens Funeral Home. He is an active member of First United Methodist Church in McGregor, The McGregor Lions Club, a past member of the McGregor Masonic Lodge and current member of the Crawford Masonic Lodge. Dale enjoys landscaping, home improvement projects, and watching college football and basketball. Dale's goal in funeral service has been to serve others and he works diligently to create memorable services for his families. Betty Ann was raised by her Grandmother in and around Waco. She graduated from Bruceville Eddy High School. Betty has been married to David Walsleben for the past thirty five years and they have made their home in Hewitt for thirty-three years. She worked at Midway High School as a school secretary and retired after seventeen years. Betty has two children and four grandchildren. She enjoys spending time with them. Betty enjoys traveling, painting,reading and spending time with family and friends. Betty and her husband are currently members of First United Methodist Church of Hewitt.